You won’t have all these materials perhaps and you will want to do some things slightly different than we did them. Work with what you have and see what you can make out of it. Our guide is just an example to help you get on your way. –A broomstick. Take one that’s a bit wide, so that your scarecrow has some intimidating broad shoulders. A tall one is ideal, you can stick it in the ground for some stability. –A small bucket. 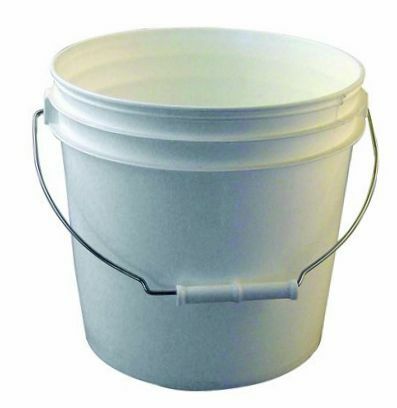 We used a 2 gallon bucket because we like using buckets. There may be other alternatives you can use too. A pumpkin, a football, there are plenty of options, but we used a bucket. –A wig. 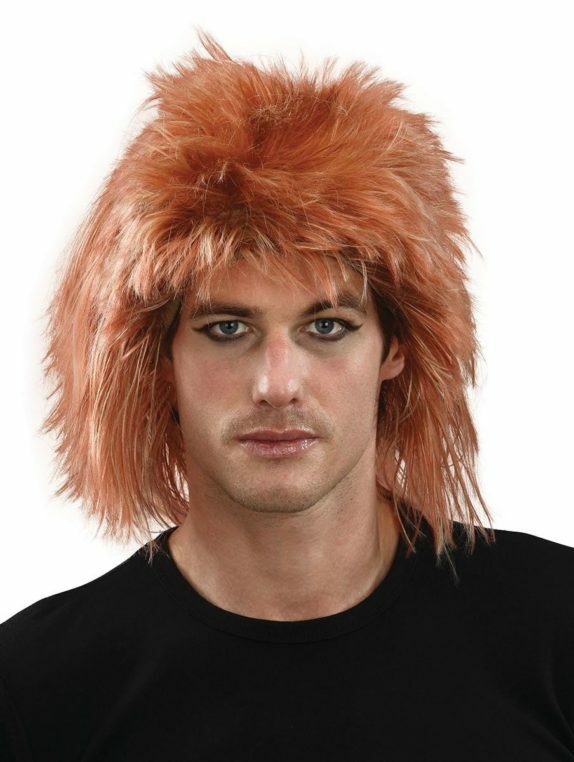 For the wig, it’s important that you don’t try this with a five gallon bucket. Nobody has a head as big as that, wigs will generally only fit on buckets with a smaller diameter. You shouldn’t bother spending too much money on the wig. We happened to have one lying around, but you can get the above wig for a low price. –An old hat. I don’t expect you will buy a hat just for your scarecrow. I do recommend however to put a hat on your scarecrow. 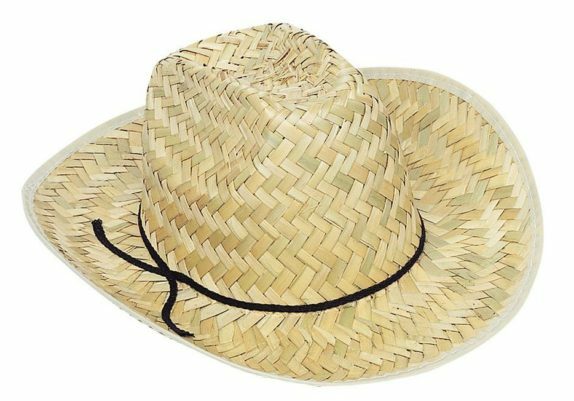 This hat is very cheap to buy. It should be perfectly suited for this purpose. –An old sweater. Any kind of old garment should probably work just fine for this purpose. –Suspender trousers. These are very useful, as you can hang them over the sweater, so that it stays relatively stable. If you don’t have these, regular trousers can be combined with safety pins. –Safety pins and duct tape. These will be used to keep everything together. –A big plastic bottle. 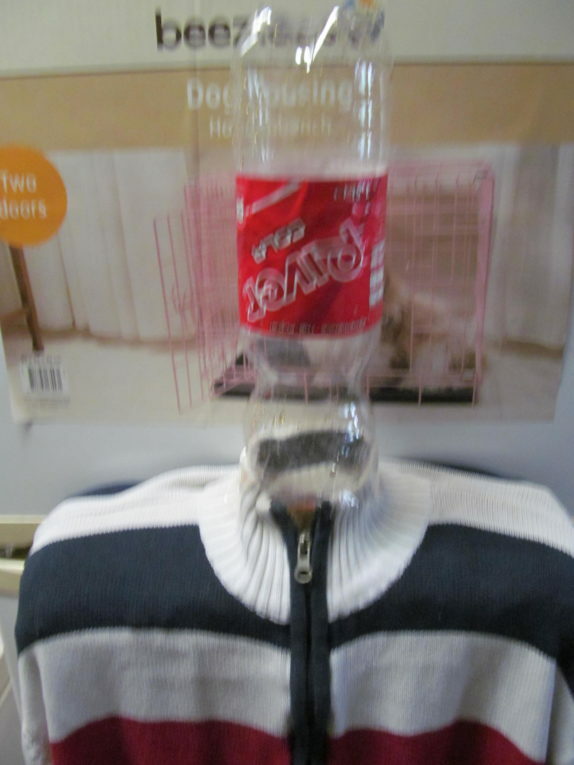 The bottle will be stuck in the clothing and the bucket will balance on the bottle. –Towels. These will be used as stuffing, to help stabilize the bucket. –Rubber boots. Not completely necessary, but I like using them to make the whole thing look better. Who doesn’t want his scarecrow to have feet? –A printout of an angry face. You can take the above face, paste it into Word and print it out. You can also take a regular A4 sheet of paper and draw your own angry face on it, it’s all up to you. Step 1: Take the bucket and attach the paper with the angry face to it with duct tape. 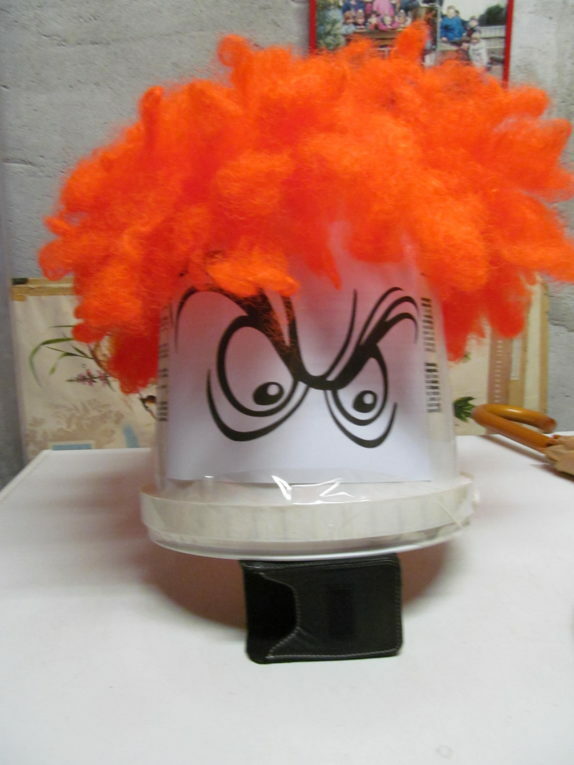 After attaching the paper to the bucket, stick your wig on and see if it fits.If the wig fits, you can see if you can put the hat on. The hat can be attached to the wig using safety pins. The hat is not essential of course, but it looks good. Step 2: Pull the sweater over the broom, to give your scarecrow his broad shoulders. 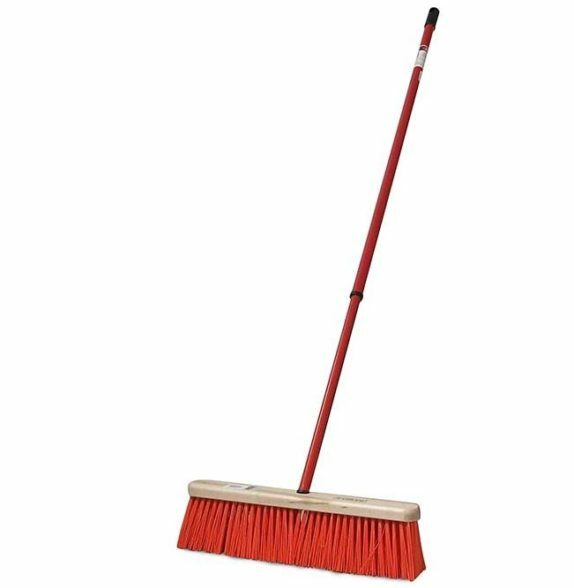 After doing this, see if you can fit a big plastic bottle into the broom. 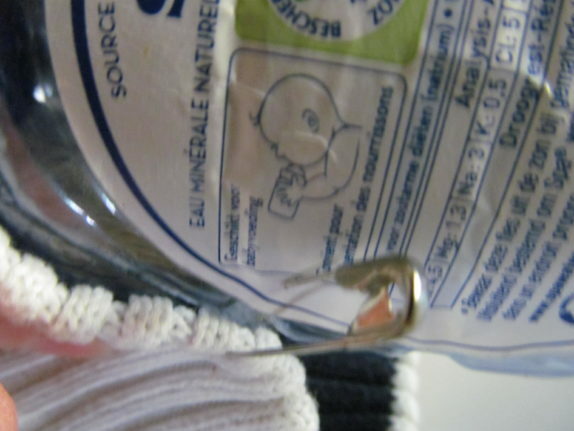 Step 3: If you get the bottle to fit into the sweater, you can then use safety pins to attach the bottle tightly to the sweater. Some duck tape can come in handy too. Step 4: Stick the bucket onto the bottle. Insert towels into the bucket, to help stabilize it on top of the bottle. 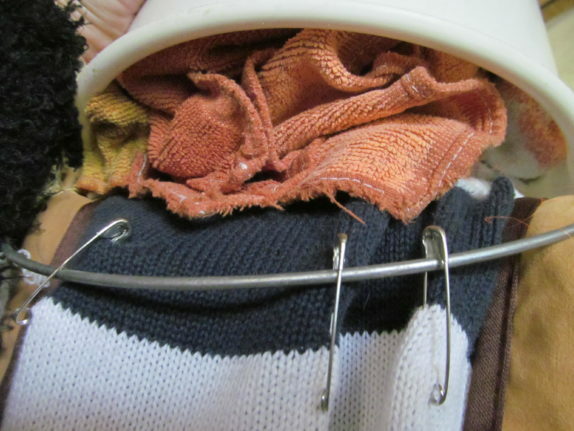 Use safety pins to attach the handle of the bucket to the clothing. Your scarecrow will be pretty stable now. Step 5: Put his pants on over the sweater and get ready to stick the broomstick in the ground. Stick it deep into the ground to keep your scarecrow stable. You can also place the scarecrow in a tree to help stabilize it. If you have some boots, put them beneath the pants. The thing about birds is that they learn from their environment, especially birds like crows. 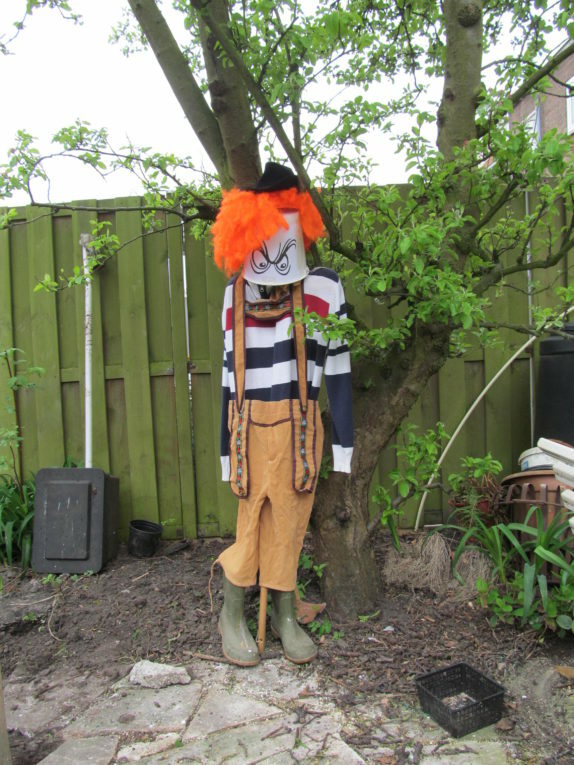 If your scarecrow looks the same every day and stands still in the same corner of your garden everyday, eventually the birds will stop being scared. You can solve this, by rearranging the scarecrow a bit. 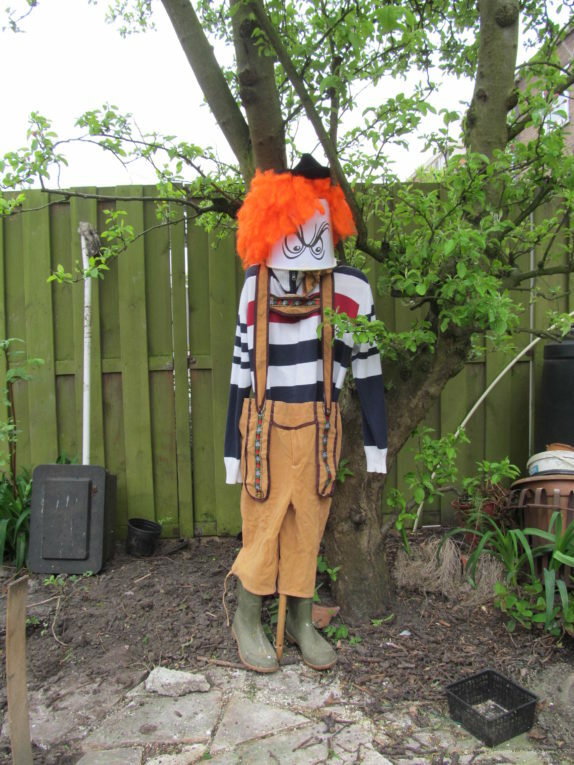 Place it into a different corner of your garden, swap the clothing of two scarecrows, print out a different face to put on your scarecrow, all variation is great.